Can you imagine driving around on Vermont’s unpaved roads in an automobile completely open to the elements with no windshields, no side windows, no roofs, and no doors? It must have been incredibly dusty. This linen Duster in the NHS collections dates from around 1910. 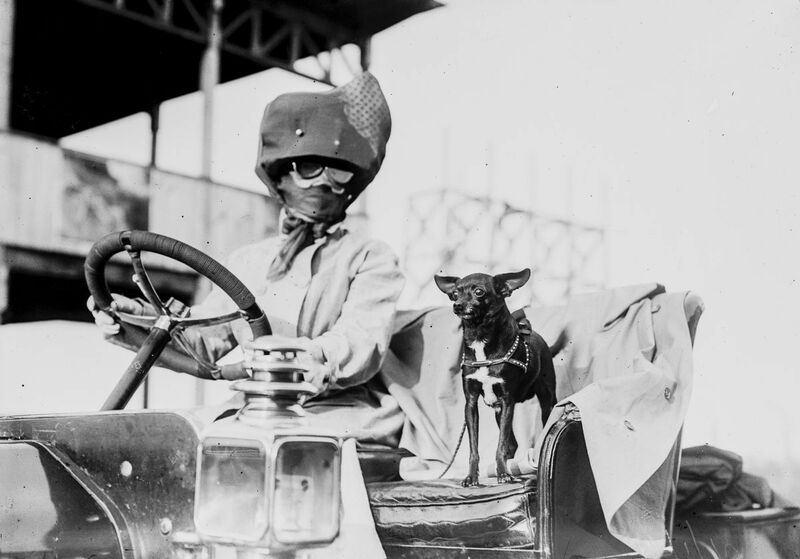 It would have been accessorized with gloves, goggles, and a hat –women wore elaborate hats with veils while men wore caps. The legal speed limit was 10 mph in town and 15 mph outside of town, so the pace was fortunately slow. Would the owner of this duster have had one made of leather or fur for winter? Probably not. Lack of plows and “rolled roads” would have made the roads just about impassable for much of the year. 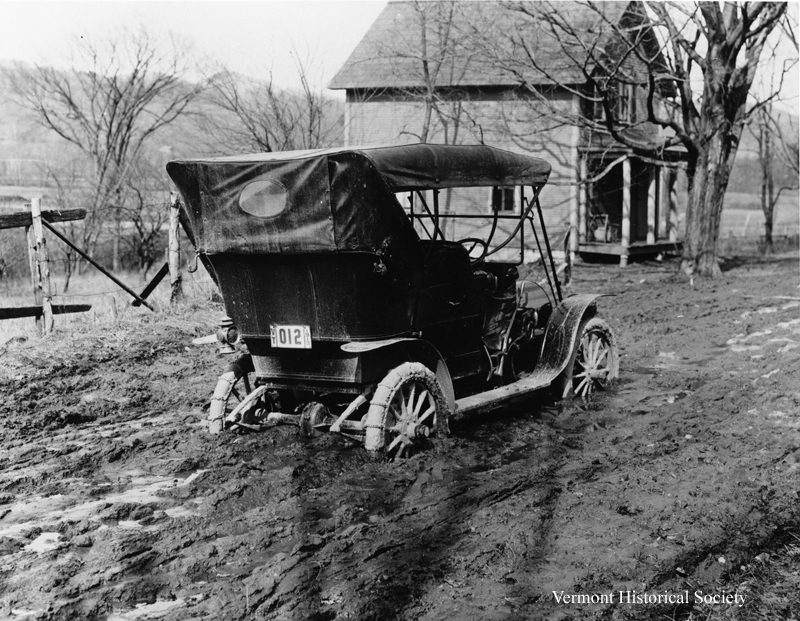 As late as 1943 only 9% of Vermont’s roads were paved. In 1906 there were only 373 registered vehicles in Vermont, so the owner of this duster was one of just a few car owners in the area. The numbers rapidly grew—in 1913 there were 4,538 cars registered in Vermont. By 1927 these once-fashionable dusters had become obsolete as cars became closed in with windows, doors, and a roof.